The first snowfall in the Netherlands last Sunday marked the start of not only the meteorological winter but the sentiment of the season as well. As in previous years, the final column of the year takes a look back and a look ahead. This, in line with my webcast last Tuesday. Where in 2016 and 2017 we repaired the roof so to speak, in 2018 we further strengthened our foundations. KLM can take a punch again! And we need it, since we must work together to ensure that KLM has a solid position in case harder times return. 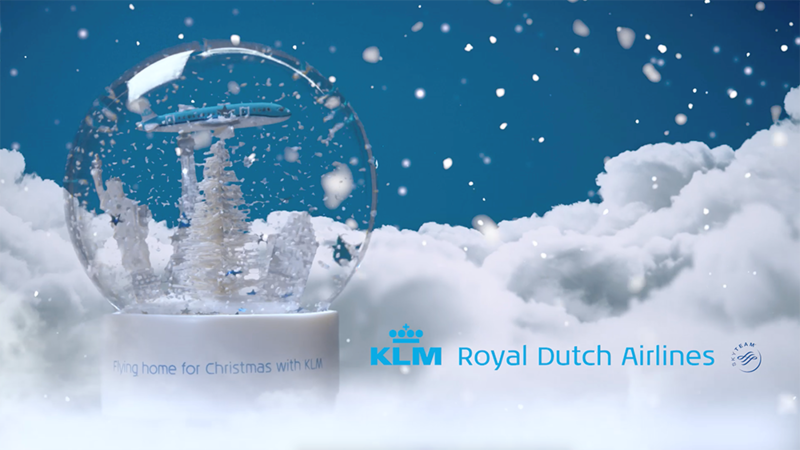 Watching the KLM video “2018: A memorable year”, you can see how we’ve all made this happen together in the past year. Really nice! We achieved the KLM result together, and the KLM brand and the KLM image is every one of us! First of all, a great compliment and thanks to all colleagues is well deserved, for KLM’s great performance in 2018. In operations, on board, at outstations, in the different divisions and business units, at the head office — in fact everywhere within our company — a lot of hard work was done for our clients in Passenger Business, Cargo, E&M and Transavia. We formulated our new KLM ambition in the second half of 2014 and began our journey towards making KLM ‘fit and healthy’ once again, in time for our 100th anniversary. 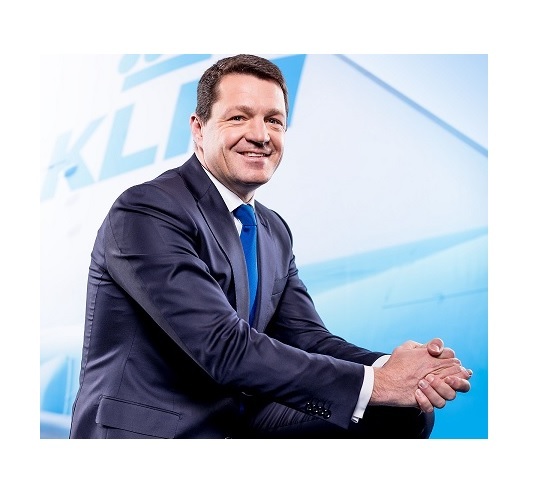 In 2015, the emphasis was laid upon Strategy, Purpose (“Moving Your World”) and the KLM Compass. From 2016, we were able to accelerate the execution of all plans and started seeing the first results. We went a step further in 2017 and achieved almost all of the Flight Plan ambitions as well as set a number of records. Our record operational result translated into an improved profit sharing over 2017. At the same time, the introduction of the High Performance Organisation (HPO), the complex collective labour agreement discussions, pension adjustments and a huge number of changes also made us realise that “it came with sweat and tears”. The idea that “it came with sweat and tears” goes beyond just the changes in the Netherlands. I was in Milan last week for my last office visit of the year. 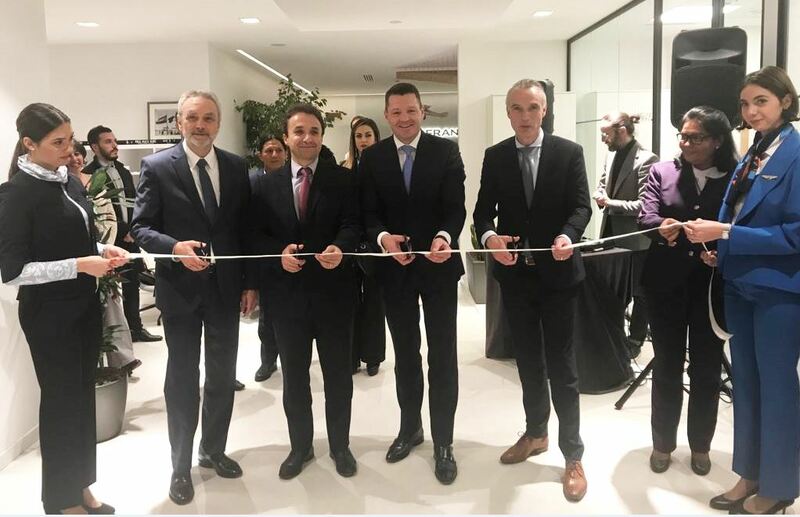 Following numerous adjustments by the local organisation, I was there to attend the festive opening of our new AF-KL office. It was fantastic to see the spirit of our AF-KL team, together with our partners from Delta. Squadra AF-KL Italia, avete fatto un buon lavoro. In bocca al lupo! 2018 was primarily about continuing on the track of 2017 and step-by-step “win” more in the context of “Change, Participate and Win”. · Our customer satisfaction has increased (from January to November an average NPS of 42 compared to 41 last year. In October reached a record of 45). · Our passenger numbers have increased once again (34 mln. KLM + 9 mln. Transavia = 43 mln.). · We renewed our fleet with seven Embraers and three Boeing 787s. · Our investments of 1.3 billion euros (3 million euros per day) were the highest ever. · We once again reduced our net debt. · Our operation ran considerably better than in the previous year (punctuality has increased). · Our innovation accelerated in the areas of digitisation, product development and sustainability. · Our divisions continue to cooperate and exchange ideas internally. · Our EPS (Employee Promotor Score) was introduced for KLM staff. · Our focus on safety with the new ISSO organisation and the successful IOSA audit remains. · We have further expanded our airline and non-airline partnerships. All these achievements have contributed to making KLM more agile and significantly more robust. It was a tough year for colleagues at Air France. The strikes during the first half of 2018 not only caused financial losses, but were also difficult for the internal solidarity. I wrote about this in my column in May. In the meantime, after Jean-Marc Janaillac stepped down in May, Ben Smith has been our AF-KL CEO since mid-September. Ben quickly reached initial agreements (on salary and other matters) with the French trade unions, thereby restoring the necessary peace and stability. In addition, Anne Rigail started last week as the new CEO for Air France. I congratulate Anne on her appointment and sincerely wish her the very best of luck. I look forward to our collaboration. The new team and the good start that Ben Smith has been able to make with the unions, mean that we can once again build on the future of our AF-KL Group together. This is important for everyone, I have confidence in it and will contribute to this. 2018 was also the first year in which we were somewhat impacted by the maximum number of flights (500,000 movements) at Schiphol. We realised growth of just under 3% in flight movements and 3.5% in seats. I would have liked to grow a bit more. We’ll be seeing a smaller increase in flight movements in 2019, as there will be absolutely no room for growth remaining at overcrowded Schiphol. We are currently in the middle of discussions with a large number of parties in the Netherlands. It is extremely important for KLM to have moderate growth possibilities after 2020. This idea of moderate growth is therefore guiding our approach to the talks; not so much as a target, but rather as a means to continue to play a role in the AF-KL Group and on the world stage. To this end, sustainability (CSR) is becoming increasingly important. For many years, sustainability has been a very important factor to KLM. We, as AFKL, have been at the top (number 1 or 2) of the Dow Jones Sustainability Index for 14 years. And that involves not merely fine words and admirable initiatives, but concrete results as well: between 2011 and 2017, KLM successfully reduced our per-passenger CO2 emissions by 16%. Our responsibility with regard to sustainability will remain a spearhead going forward. On 20 February, we will publish our financial results for 2018. Now that the roof is repaired and the foundation strengthened, in 2019 we can focus on further developing KLM. I have already mentioned a number of topics in the webcast. My column in early January will outline our plans, targets and ambitions for 2019. On 7 October 2019, the big day will arrive... KLM will reach its centennial. We will be the first airline carrier still operating under its original name to reach this milestone. This is incredibly extraordinary and special, and even evokes strong feelings of pride and solidarity amongst all Dutch people in the Netherlands, but also much broader internationally. And, like all KLM employees, I share this sense of pride. The dream of KLM’s first CEO Albert Plesman that “the ocean of air unites us all” through “pioneering and doing” is still alive even after 100 years. That is the incredible strength and connecting power of KLM. However, it goes beyond just pride among current and former KLM employees. The role KLM plays in and for the Netherlands evokes these feelings as well. KLM connects the Netherlands to the world and the world to the Netherlands. That is why we will not only be celebrating our anniversary with the KLM family, but also further afield with partners and (AF-)KL colleagues at the outstations. Not only will we do this by looking backward, but especially by looking forward. Together, we will build upon all of the great things created by previous generations, so that in turn we will contribute to the futures of the generations that follow us. We must carry on! Which is why; “I like the dreams of the future even better than the history of the past”. I would like to close this column by wishing everyone a great Christmas. To the colleagues who will be working these days, have a great flight or duty. As for myself, I’ll be at home. After so many journeys and an intense year, spending time with my family at home is the best way for me to recharge. I wish all colleagues a fine and healthy 2019. And for our wonderful company, I not only wish a “fit and healthy year on the way to 100” but above all, a safe 2019. Safe operations, satisfied customers, motivated and qualified colleagues make us who we are!